First of all an attempt will be made to treat the pain and radiating symptoms with painkillers, rest and possibly tractions and manual therapy. If these do not provide adequate relief an epidural infiltration may be administered, which is an injection into the spinal canal, of anti-inflammatory medication. 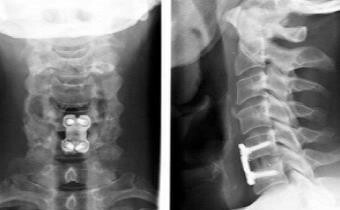 When is cervical fusion performed? 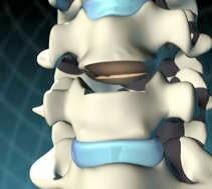 If there is wear and tear of one or more of the intervertebral discs as a result of osteoarthritis or an accident it leads to neck pain. We experience radiating pain in the arms because the nerve that starts in the spinal cord and extends to the arm has insufficient space due to excess bone growth or disc hernia. In order to reduce or even eliminate the neck pain, the worn intervertebral disc is removed and the nerves that extend from the neck are released to treat the pain in the arm. An interbody cage is inserted to replace the intervertebral disc, filled with the patient’s own bone, after which the vertebral bodies are secured with a plate and screws. The loss of one hinge is managed and taken over by the adjacent hinges. A 4-cm incision is made on the left side of the neck at the front, in the direction of the skin wrinkles, in order to access the vertebrae. The oesophagus and trachea are moved to one side and the large carotid arteries to the other. 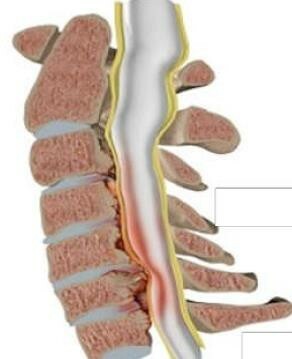 The cervical spine is released at the place where the intervertebral disc is worn. The latter is removed. 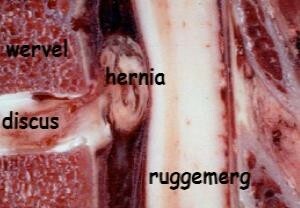 The nerves on the level being operated are carefully released and the hernia or excess bone growth is removed. At this point we insert the inter-body cage filled with bone from the iliac crest or artificial bone, in between the vertebral bodies. A small plate with four screws is inserted at the front to provide additional fixation. During the operation the surgeon continuously verifies the positioning of the cage and the plate with screws. In some cases a Redon drain is inserted in the neck wound to drain any excess blood.